Being a vegetarian is certainly getting easier than it was before, and travelling as a herbivore is no longer as nerve-wracking or depressing when it comes to meal times. Having said that, you may still have that dinner or two where you’re faced with a sad variety of salads when your omnivorous counterparts are gushing about how amazing their meal is. Thankfully, vegetarian travellers in Beijing are in for a real treat. It wouldn’t take you long to realize that vegetarian restaurants in Beijing aren’t just out there to cater to herbivores, they seem to be capable of convincing even ardent meat-eaters that you can have an excellent “meat-like” meal made entirely out of plants, seeds, and grains. Mark these nine restaurants in your map and start chowing down. An elegant, upscale restaurant with beautiful interior design, exquisite food, and live harp music. If harps don’t convince you that you’re in some fancy restaurant, nothing will. King’s Joy makes classic and contemporary Chinese dishes with a Vegetarian twist, and has been known to impress even staunch meat eaters to no end. Try the braised “pork”, which is really made of mushrooms, and avant-garde dishes like sushi that’s made with dragon fruit and apple, or the wasabi mango. If you’re dining with company and can’t decide, there’s the option of set meals where you can sample the restaurant’s most popular and creative dishes. Prices are steep, so be prepared to spend more than 400 RMB per person. 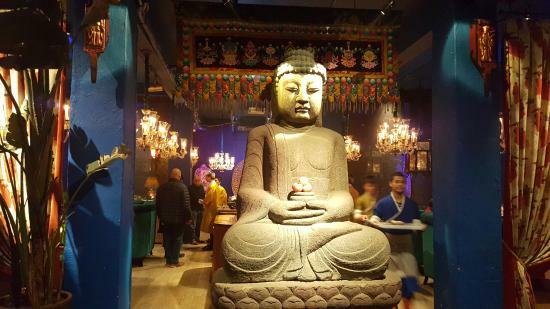 Another fancy Vegetarian restaurant that serves up creative Chinese vegetarian cuisine, Pure Lotus is where you should expect over-the-top Buddhism inspired décor but not-so-humble prices. The menu is extensive, and vegetarians would be thrilled to find classics like Peking duck (that’s not actually duck) alongside a degustation menu that will make you wonder what’s the point of eating meat at all. Diners liken this to a Michelin-worthy restaurant with innovative food, otherworldly décor, and meticulous service. The Veggie Table is the perfect antidote if you’re starting to crave for vegetarian food that’s not Chinese. Think falafel, hummus, burgers, couscous, and delicious desserts and smoothies. 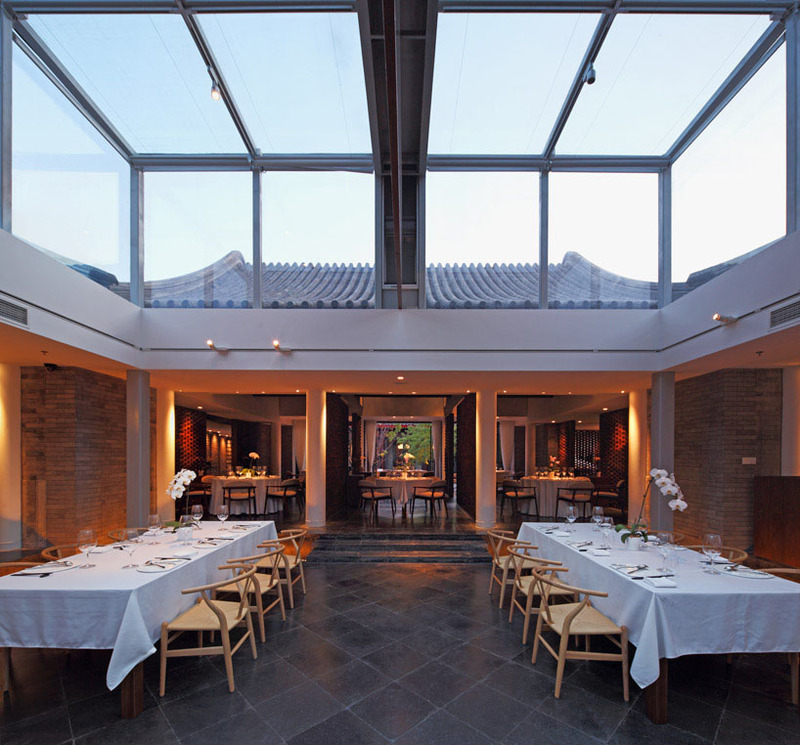 Located in a Hutong, the restaurant has a lovely, casual and homely ambience with accessible prices (e.g. about 70 RMB for a main dish). Vegans will find this place a real treat as well, and it even has a separate 100% organic menu. Suhu can be a little tricky to find, but it’s well worth it. Think of lotus soup with tofu skin and coconut milk, the signature Veggie fish, vegan tiramisu and you know that you’re in for a multi-cuisine vegan trip to wonderland. Prices are reasonable for the quality and ambience of the restaurant. Meat-eaters have also been known to be highly impressed. For delicious and inexpensive vegan food that’s also easily accessible by subway, head straight to the Vegan Hut, where you will find both Chinese and Western items that are crowd-pleasers. 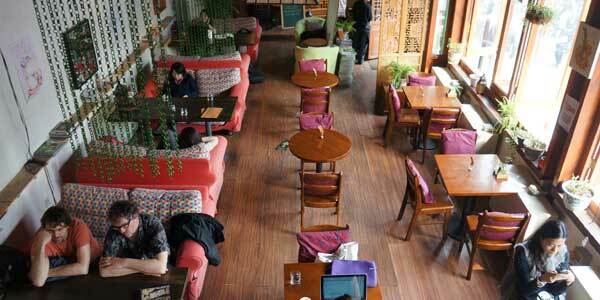 They also serve organic dishes and is a great choice if you want wholesome veggie food without all the fanfare. Tian Chu Miao Xiang is another great Chinese vegetarian restaurant that focuses on quality and affordability, so don’t expect to find pretentious zucchini that’s mind-blowingly sliced and balanced on a ball of tofu. Popular with the locals and situated in a business district, you may want to try your luck post-lunch hour. Portions are known to be huge, which is a plus and great for sharing. If you’re vegan, check with the waiter before ordering as some of their dishes contain milk products. Tired of mock meat, don’t want another plate of pasta, but want a full-on culinary feast that’s loaded with flavor Thank the heavens for Indian vegetarian cuisine in Beijing! Ganges Indian Restaurant is one of the few authentic Indian restaurants in the city that also caters to vegetarians. The set lunch and dinners are great value for money and the place is popular with both locals and foreigners.